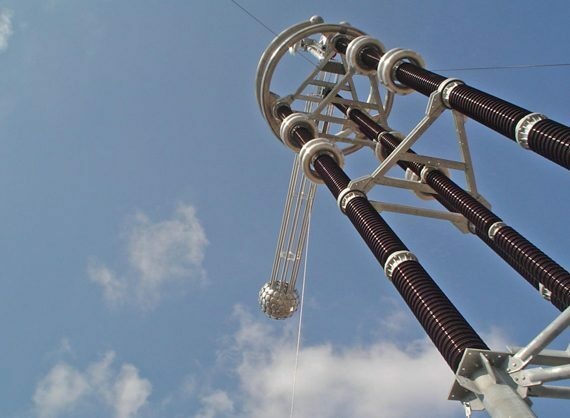 PPC Insulators is a leading supplier of state-of-the-art electrical porcelain insulators for substation, overhead line and precipitator applications specialising in insulator designs up to 1,200 kV AC and 1,100 kV DC system voltages. PPC Insulators is a technology leader and manufacturer of state-of-the-art electrical porcelain insulators for overhead transmission lines, substations and electrostatic precipitator applications. Traditional porcelain insulators originated in the late 19th century. These were further developed in-house by PPC via its isostatic production technology, allowing production of high-quality products with efficient designs, tightest tolerances and shorter lead times for applications up to 1,200 kV AC and 1,100 kV DC. PPC is a dedicated specialist focused on providing you with the right advice and global support for your critical needs to suit your insulation requirements. From our product portfolio of porcelain, hybrid, polymer and HDPE substation, transmission and distribution insulators – we have tailor-made solutions to cater to your needs. PPC INSULATORS – ELECTRIFYING YOUR WORLD. Since 2007 PPC is part of Seves Group, where our sister company Sediver serves the market for glass insulators. Tons’ capacity for substation, transmission and precipitator insulators. Years’ experience in the production of electrical porcelain.